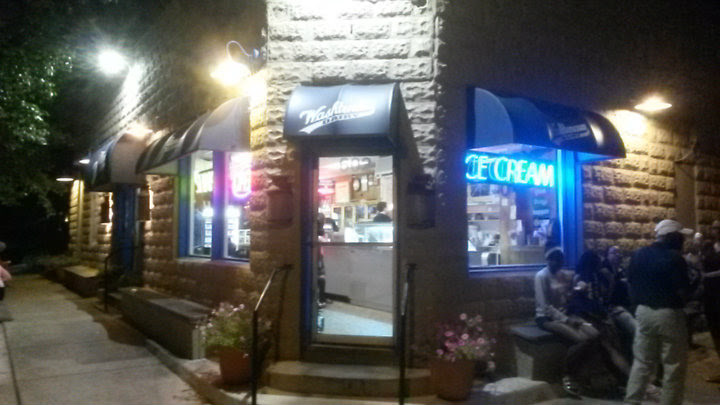 Washtenaw Dairy is located on S Ashley Street in Ann Arbor, Michigan. Washtenaw Dairy has been producing and selling their products in Ann Arbor since 1934. They are best known for their ice cream and doughnut offerings. 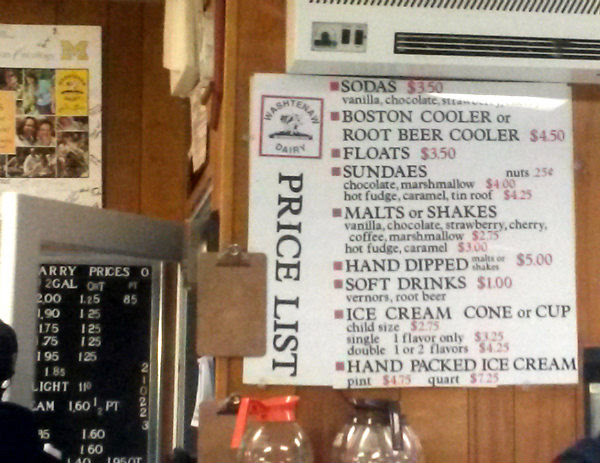 Prices remain reasonable to this day; you can get a towering double scoop of ice cream for $4.25, and doughnuts are 70 cents apiece. Yes, they even customize doughnuts...you can get a Maize and Blue option because it's U of M country here. 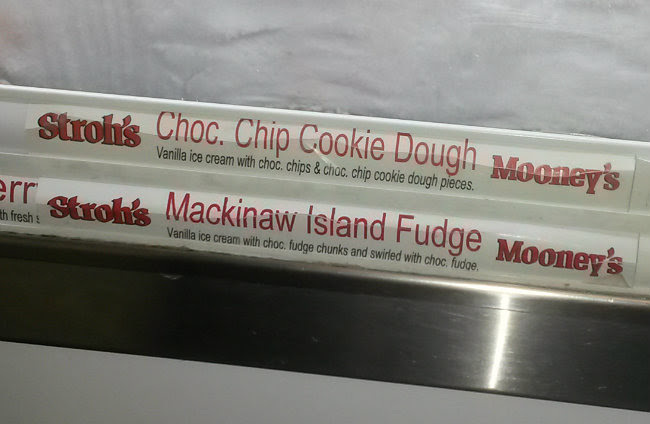 Being in an ice cream mood, I wanted a couple of flavors that spoke "Michigan" to me. 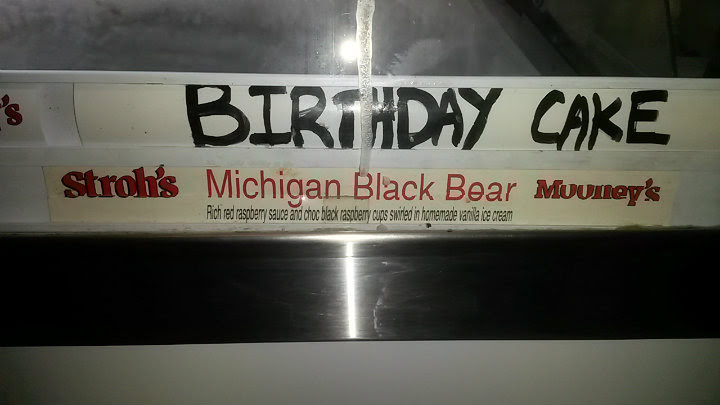 The "Michigan Black Bear" has a rich red raspberry sauce and chocolate black raspberry cups in homemade vanilla ice cream. The "Mackinaw Island Fudge" is vanilla ice cream with chocolate fudge chunks and chocolate fudge swirl. 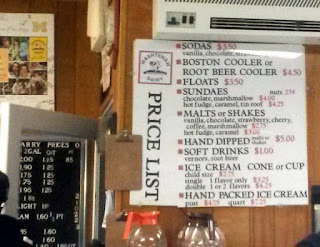 When both are put in a cup, you better be hungry for sugar or otherwise have an ice cream partner at your side. 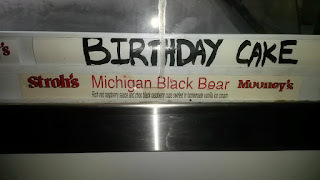 The Michigan Black Bear basically ended up tasting like a wonderful white chocolate raspberry creation. 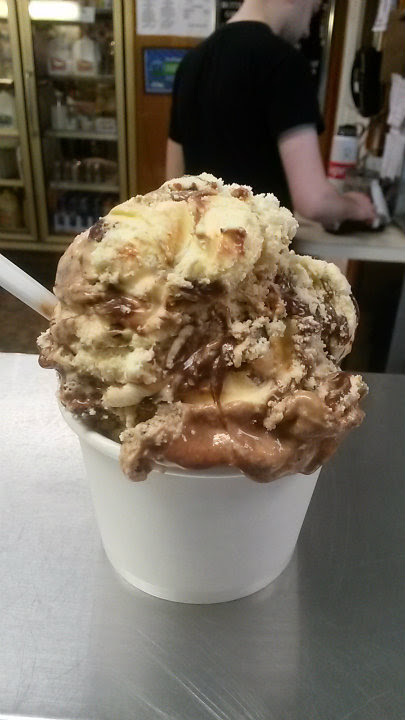 The Mackinaw Island Fudge is your typical, glorious, and blissful chocolate overload with vanilla offering. 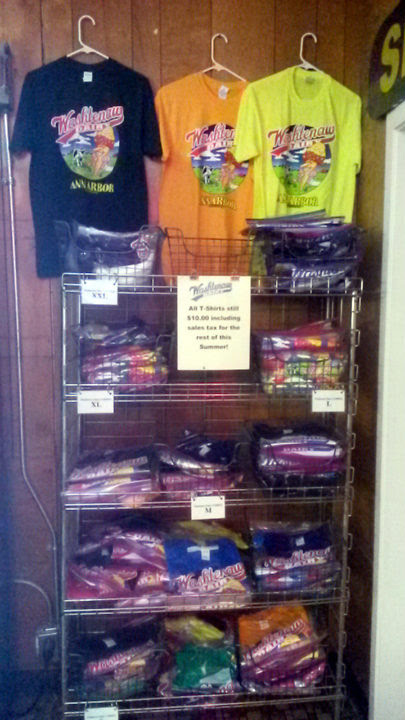 Quality stuff here, folks. 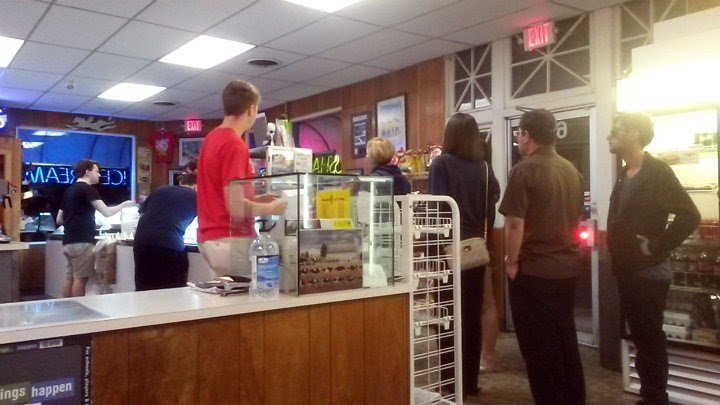 During summer, Washtenaw Dairy is open until 10 PM. During spring and fall, they close at 8 PM. 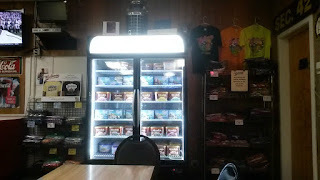 In winter, the place shuts at 6 PM.